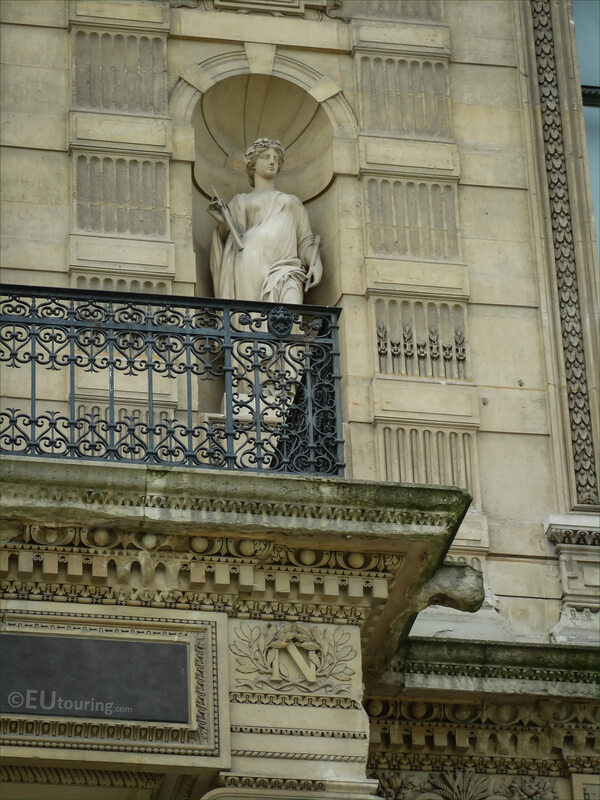 This time while we were in the 1st Arrondissement of Paris at the Musee du Louvre, we took these high definition photos showing the statue called Euterpe, the Muse of Music, which was sculpted by Gustave Adolphe Desire Crauk. 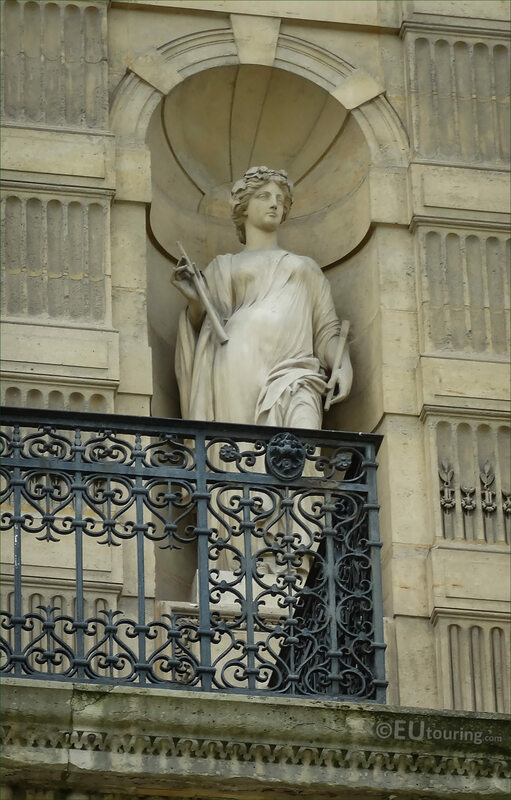 Now when you are within the courtyard called the Cour du Carrousel and are looking at the facade of former Palais du Louvre called the Aile de Flore, you will see this statue of Euterpe located on the second level just above a balcony, and this is positioned in a niche third from the right hand side. 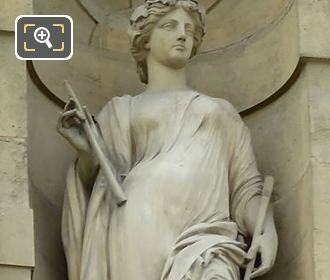 And in Greek mythology, Euterpe was one of the muses with her father being Zeus, and each of the muses was assigned a role, with Euterpe being the Muse of Music and later the muse of lyric poetry, which is why you can see that she is holding a flute. So this allegorical statue of Euterpe along with several other sculptures for the Louvre Museum were produced by Gustave Crauk who was born in 1827, and becoming a renowned French sculptor after studying under people such as Jules Ramey and James Pradier, he received numerous commissions for works to adorn famous tourist attractions in Paris. In fact you can see works on the Gare du Nord, in the Jardin des Grands Explorateurs, on the Saint-Eustache church, at the Versailles Palace, also as we mentioned on different facades of The Louvre and many more, still continuing to produce statues, busts and sculptures virtually until he passed away in 1905.